Nelson Ireson February 6, 2014 Comment Now! Friends, brace yourselves. The awesome level just went to 12. 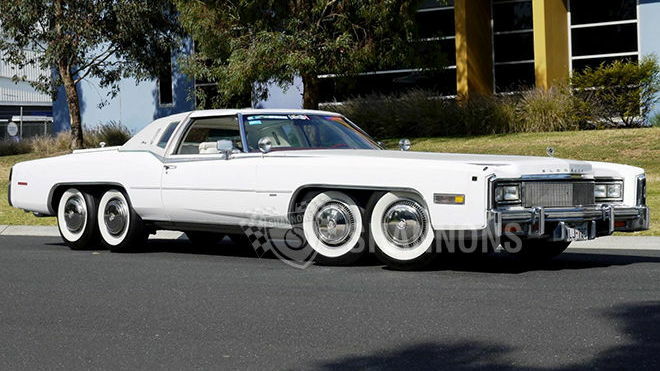 This 1977 Cadillac Eldorado Biarritz would be a rather impressive car of the Land Yacht era in its own right, but thanks to extensive (and apparently very well done) modifications, it has become a true masterpiece. 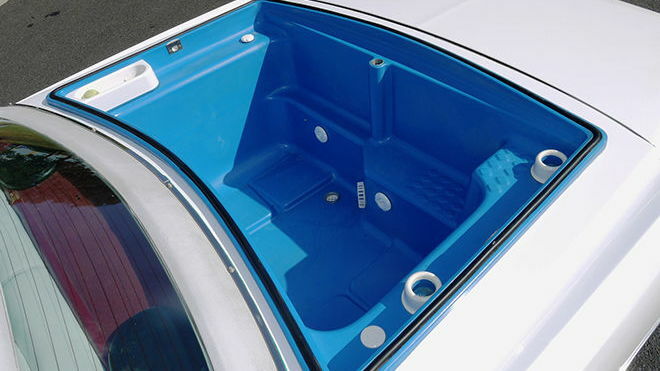 Packing eight wheels--four of which steer the car--a hot tub, and a barbecue, this "Custom" Eldorado, found via Hemmings, is unlike anything else on the road. 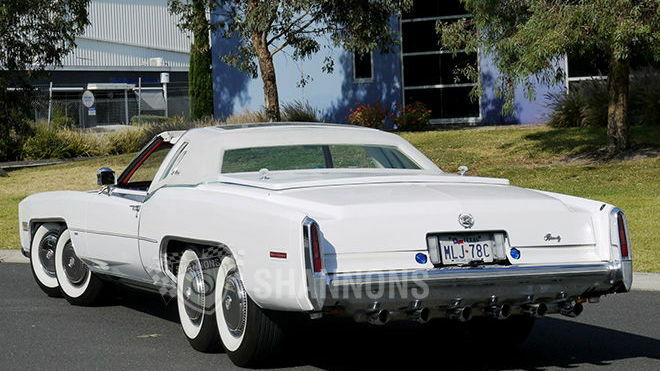 In addition to the breakfast-in-the-front, party-in-the-back setup, there's also strobe lighting, a TV with CCTV camera, and reverse sensors among other upgrades. 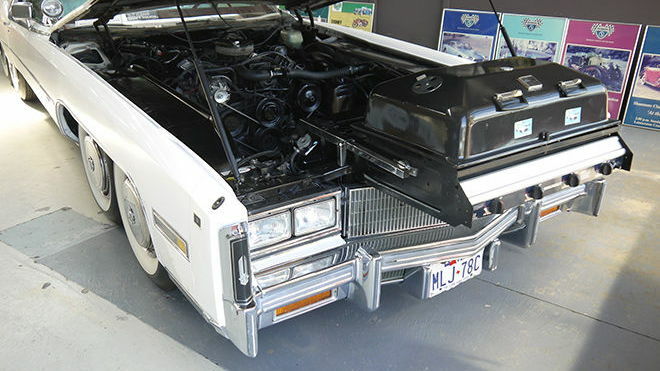 While it started life as a Texas car, and still wears the Lone Star plates, it is a creation of some mad-hatter Aussie, and it's going up for auction at Shannon's Australia this summer. The expected sale price? A mere $24,000-$32,000. That seems like a bargain to us.